Puglia is served by two international airports, Brindisi and Bari. They are run by Aeroporti di Puglia and are both modern airports, with good facilities and services. Brindisi airport in particular is a small, well run airport, which means waiting times are usually kept to a minimum. To fly direct to Brindisi from the UK there are three main routes, two from the south-east of England and one from the north-west. Ryan Air have regular services from London Stansted that run throughout the year; and a route between Manchester and Brindisi, operating twice a week from Spring to Autumn. EasyJet also have a limited direct service from London Gatwick, which runs from April through to October, with no flights between November and March. To fly direct to Bari airport from the UK there are now four options from the south-east of England and one from the north west. Ryan Air offer regular services from London Stansted, running throughout the year. EasyJet and British Airways have a more limited service, both from London Gatwick – EasyJet have flights from January to October with no service in November or December, whilst British Airways have flights from April through to October, with no service from November until March. From Spring 2018 Whizzair are setting up a twice weekly summer season route between Luton and Bari. Additionally, Ryan Air has a twice weekly service each way between Liverpool and Bari from April through to October. As an alternative to flying into either of the Puglian airports, it is also very much a feasible option to take advantage of one the larger airports at Rome or Naples, which all have frequent flights from all over the UK. 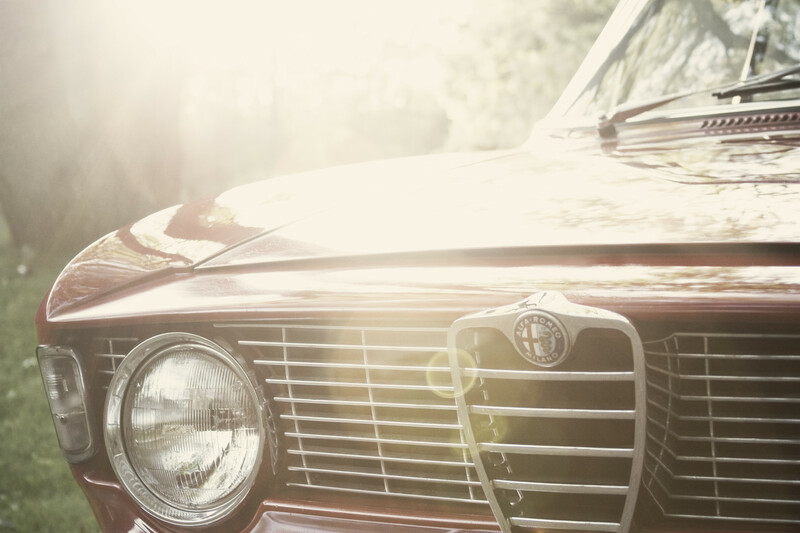 Hiring a car on arrival and then driving across to Puglia can be more appealing than a longer journey to the airport within the UK, and is an option many of our guests choose. Journey times will obviously vary for any number of reasons but Rome to Ostuni is roughly 5 hours, and Naples to Ostuni about 3.5 hours. (NB Travelling on by train from Rome or Naples is also possible). As in the UK, there are various different types of roads in Italy, with varying speed limits and regulations. The Autostrada are similar to motorways in the UK, and are prefixed with an 'A', with green signs and white lettering. They are invariably toll roads, whereby you take a ticket when you get on and pay the necessary toll for the distance you have travelled when you get off. In Puglia the main 'A' road is the A14, which enters the region between Termoli and San Severo and heads south-east to Bari, before heading southwards to Taranto. The A16 comes into the province from Naples in the south-west of Italy, and ends to the south-east of Foggia, near Barletta and Andria. If travelling to the province from Rome the normal route would be south on the A1 to Naples before taking the A16 towards Puglia. The speed limit on these roads is usually 130 km/h. 'SS' roads – Strade Statale – not toll roads like the 'A' roads, but are often duel carriageway, with speed limits of 110 km/h, or 90 km/h where they are single lane. The SS16 will take you from Bari to Ostuni, with the majority of the journey on duel-carriageway. 'SR' roads – Strade Regionale – similar to the 'SS' roads, they are maintained by the region rather than the national government. 'SP' roads – Strada Provinciale – these are roads maintained by the province and make many of the connections between towns and villages in Italy. They usually have speed limits of 90 km/h but often vary depending on the surroundings. 'SC' roads – Strada Communale – roads maintained by the local commune, or local authorities, usually located within towns and cities, and have variable speed limits. 'SB' roads – Strada Bianche – these roads incorporate the rest of the country's road network, and can be of variable quality, some without tarmac or significant paving. They complete the connections between rural areas and the main road network. To reach the town of Ostuni, follow the main coastal highway either south from Bari or north from Brindisi and take one of the several Ostuni signed junctions. If travelling from the north we tend to come off at the junction signed for Montalbano, follow the SP7 and then turn left onto the SP16 into Ostuni. From the south we use the junction at Torre Pozzella. We have a lot of experience of travelling by train between the UK and Italy, including Puglia. It is straightforward, interesting and comfortable - we regard the journey as part of the experience. Train travel is much more stimulating and varied than travel by air. The view from the window is often terrific; you can move around on the train as much as you want; and you encounter more people. Railway stations are much better than airports in which to spend time en route; we usually go outside the stations to find a park, play area for the children, a bar, a restaurant, even do some shopping or sightseeing (all the main stations have a left luggage facility). 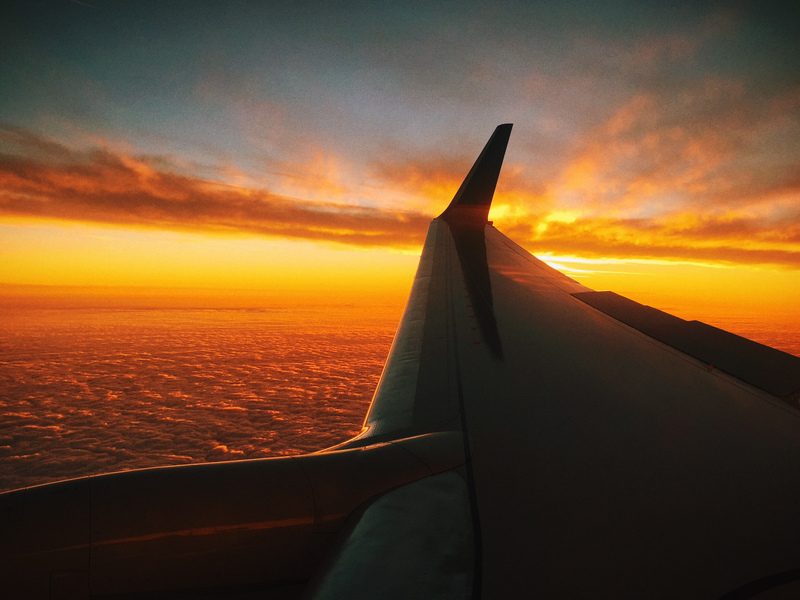 The massive advantage over air travel is avoiding all the airport hassle, luggage regulations and travel to and from the airport. It is possible to arrive at the Eurostar terminals in London, Paris and elsewhere about 45 minutes before your train is due to leave and have ample time to catch the train on which you are booked. * fly to or from the north of Italy, using the train between there and Puglia; this is an option we have often used, as it widens the number of UK airports with direct flights, and combined with a break of journey en route can be very enjoyable. Cost is a significant consideration. It is difficult to beat the cheapest Ryanair and Easyjet prices, although you can get quite close if you book well in advance and go for the cheapest fares available - round about £90 per adult one way London/Bari, a bit less if you are lucky (NB the most expensive part of this is trip is Eurostar London/Paris, so if you can get fares for less then £40 on this it will help). Leaving London early and with ample time to change trains in Paris and Milan, you arrive in Puglia about 8am the next morning having travelled overnight from Milan in a couchette. Have a look at "The Man in Seat 61" website, http://www.seat61.com/ This is vital to anyone interested in European train travel. The website gives all the train travel options between the UK and different parts of Italy. It is also a fund of detailed information eg how to book tickets on line, getting between the railway stations in Paris, how to use Italian ticket machines. * on via Italian train to Puglia - the trains go through Bologna and reach the Adriatic cost at Rimini, then follow the Adriatic coast (often right beside the sea) to Foggia, Bari, Brindisi and Lecce. You can leave London early/mid afternoon and be in Puglia about 24 hours later. The return trip is essentially the reverse of the above - travel Puglia to Milan leaving about lunchtime, overnight to Paris leaving Milan at about 11pm, Eurostar to London arriving in mid afternoon. Eurostar fares can be bought in advance for about £40 each. The trip takes about 2 hours 40 minutes or less. In Paris you then need to go from Gare du Nord to Gare de Lyon, which takes about 30/45 minutes using the RER green line although we usually allow quite a bit more time and have drink at Gare de Lyon; we don't like rushing! The Thello train between Paris and Milan leaves just after 7pm. It has a dining car with two sittings if you want to eat on the train, which is enjoyable and OK quality; it is not too expensive. You can always eat before you get on the train or if you prefer take a picnic on board - we have done both. Booking well ahead is as always a good idea. Doing this, the cheapest travel option at about £30 per head is a berth in a six berth couchette, good value if you don't mind sharing (people just lie down and sleep through the journey, so it is much the same as travelling in the day in a six person compartment). Two adults and two children can exclusively occupy a four berth couchette for about £180, not bad value if you can manage without a sink in the compartment. For two adults in a two bed sleeper compartment the cost is £240-300, rather expensive compared with the equivalent sleeper fares within Italy - but you have a reasonable amount of space and your own sink. Thello has added a few "premium" sleeper compartments which have their own shower and toilet; we don't understand why, but these are the same price as compartments with just a sink, so do represent something of a bargain if you can get them. Otherwise toilets and showers are at the end of the coaches in all cases. The Thello train (which goes on to Venice after Milan) reaches Milan at about 6am. (Travelling the other way the train leaves Milan at about 11pm and arrives in Paris at about 10am. You have a choice of trains to get from Milan Centrale to Puglia - the faster the train, the more you pay. All are comfortable, the Freccia trains especially so; advance booking and seat reservations are compulsory in all cases. Please note that the Thello trains from Paris now use Milano Garibaldi, not Milano Centrale, so you will need to use the Milan underground to cover the short distance between the two. However, from 9 December 2018, there is a new Frecciarossa service between Turin and Puglia, and this calls at Milano Garibaldi, which could be very convenient going south - it leaves at 10.20am. 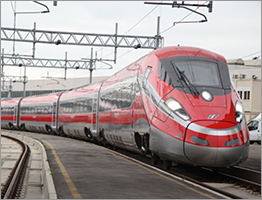 The Intercity takes nearly 10 hours from Milan to Bari, stopping at all main stations; the Frecciabianca takes about 8 hours; and the new limited stop Frecciarossa services take about 7 hours 30 minutes. You can get direct trains or there are options involving changing at Bologna. Several services leave Milan between 7am and 8am, so having left London just after lunch, you can be in Bari by 2.30pm the following day on the fastest Italian service, and by 5pm on the slowest. As long as you book in advance via Trenitalia website, you should be able to get Intercity tickets for about £30 each, Frecciabianca tickets for about £40 each, Frecciarossa tickets for about £50 each. The top of the range fast Frecciarosso trains from Milano Centrale only currently go as far as Bari. The new service connecting Turin with Puglia goers to Brindisi and Lecce. Although they are definitely the most comfortable train option (seating and facilities are excellent), you may not feel this is worth paying extra for to cut not much more than and hour off the time the trip takes on a Frecciabianca. However, we do suggest using a Freccia train rather than an Intercity unless you are really trying to keep the cost down - the difference in travel time, comfort and facility levels is worth the extra money. Frecciabianca and Intercity trains go to Brindisi and Lecce; most Intercity and some Frecciabiancas stop at Ostuni. Otherwise to get to/from Ostuni you will need to change at Bari. It is well worth getting some food and drink to take with you on the train (we have found the best place for "supplies" at Milan Centrale is Hudson News, right next to the platforms, but there are other places). There are limited buffet facilities on Frecciarossa (this also has a decent restaurant option) and Frecciabianca trains but none at all on Intercity trains - so if you go for the cheaper, slower train make sure you have got a good stock of food and drink. Seat 61 suggests also that you can get an afternoon Paris-Milan TGV train and stay overnight in Milan, then catch the same train options to Puglia the following morning. This has the advantage of a really beautiful Alpine section between Lyons and Turin (entering Italy via the tunnel linking Modane and Bardenecchio), especially dramatic in winter. Advance bookings on the TGV from Paris to Milan or Turin can be obtained for about £30 per person. The TGV stops at Turin (about an hour short of Milan), and we ourselves much prefer stopping off in Turin rather than Milan. There are good quality, good value hotels near the Porta Susa station. Turin is an extremely lively and attractive city, still little known compared with the much flashier, cosmopolitan and expensive Milan. There are plenty of train options for the onward journey to Puglia, including a new and pretty convenient Freccarossa service going to Bari, Brindisi and Lecce. A longer route from Paris to Milan is via Basel and Bern, entering Italy via the Simplon Tunnel. But make sure this is undertaken in daylight; the section from Bern to Milan through the Alps and alongside Lake Maggiore is spectacular. If you take this route, you may want to stop overnight in or near Milan, or you can travel on to Puglia overnight. We have used overnight trains from Turin and Milan to Puglia, allowing us to spend some time in either city before travelling south. These are cheaper than the day trains, especially if you just want a seat (we have never done this, but lots of people do) or a couchette (which we have). If you book well in advance you can also get two (and three) person sleeping compartments. These trains leave in the evening from Turin and Milan, arriving in Ostuni at about 8am the following morning. There are various booking websites we suggest. If you want to book all the way through between the UK and Puglia, try Loco 2 on https://loco2.com/ This gives various options available, is pretty easy to use, and tickets are sent by email. However, we have found that it is not always up to speed with the discount systems available in Italy; so it is worth checking the prices quoted by Loco 2 for legs of journeys within Italy against those available via the Trenitalia website. An alternative site is the French railways system (formerly known as Rail Europe) on http://uk.voyages-sncf.com/en/#/ It is straightforward to use and they send you the tickets by post with a small surcharge which we now think is less convenient than the email system. Again, check their prices for travel within Italy against those shown on the Trenitalia site. 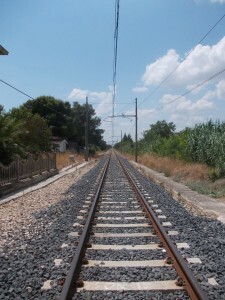 Contact us for more specific advice if you are interested in rail travel to Puglia. We are happy to share our experience and tips.